Meghalaya election results presented a hung house, sending the Congress and the BJP scrambling to stitch competing coalitions and stake claim to the government. BJP's Himanta Biswa Sarma said the party hoped to 'facilitate' a NPP-led government in Meghalaya. Meghalaya appeared to be slipping through the Congress' fingers on Sunday afternoon after the United Democratic Party announced its support to the National People's Party (NPP), the regional party that won 19 seats and is supported by the BJP as well. 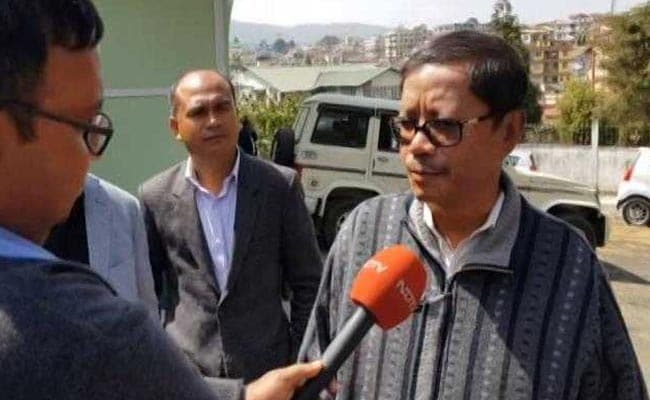 Outgoing Chief Minister Mukul Sangma and the BJP's master strategist Himanta Biswa Sarma rushed to meet Dr Donkupar Roy, president of the UDP whose six legislators are seen crucial for any coalition to form the next government. Both reached Dr Roy's house around the same time. Mr Sangma is learnt to have attempted to persuade the UDP president to change his stand on support to the NPP which is part of BJP-led National Democratic Alliance (NDA) at the centre. The NPP had contested the assembly election on its own but its claim to power is being actively supported by the BJP which wants to keep the Congress out. Long after Mr Sangma left, Himanta Biswa Sarma, the BJP's master strategist for the Northeastern states, was closeted at a meeting with Dr Roy. 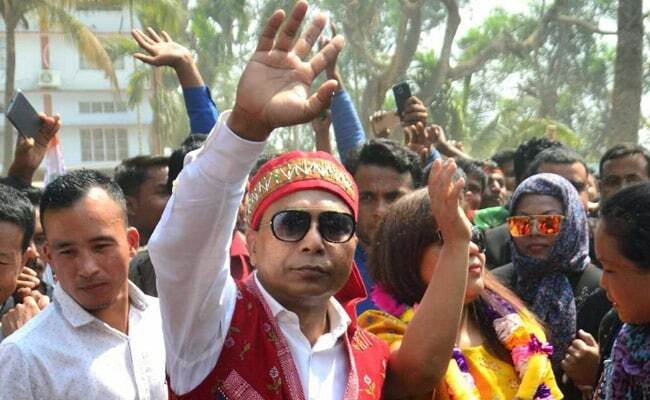 UDP's Donkupar Roy has emerged as the 'kingmaker' after Meghalaya elections. Sources told NDTV that the Congress had seen the writing on the wall and had even offered to support regional players such as the UDP form the next government with outside support from the Congress which had emerged as the largest party in the election but was fell 10 short of majority. The UDP is, however, seems to have decided to stick by its announcement, clearing the road for the NPP's Conrad Sangma who later in the evening met Governor Ganga Prasad and staked claim to form the government. He will be sworn in as Chief Minister on Tuesday, Union Minister KJ Alphons, part of the BJP's team sent to Meghalaya, said. Son of the former Lok Sabha Speaker PA Sangma who founded the National People's Party (NPP), Conrad Sangma told the governor he had the support of 34 legislators including 19 from his party and two from the BJP. Since election to one seat was cancelled due to the death of a candidate, the majority mark in the 59-member house is 30 legislators. The Congress has ruled it for the last 10 years with Mukul Sangma at the helm. The party won 28 seats in the last assembly polls; it's down to 21 this time. Congress's Mukul Sangma faces a difficult task to stitch enough support for a majority. The Congress had rushed to meet Governor Prasad, saying it should be invited to form government as the single largest party but has not been able to produce letters of support from the regional players. Mr Sangma, who submitted his resignation as Chief Minister, later told reports that he had promised to be back with letters of support from like-minded people. "BJP has only 2 MLAs how would they like to form the government? They want to fire from the shoulder of other political parties," Mr Sangma said. The BJP has, however, made it clear that it wasn't looking "at a major role" in Meghalaya with only two lawmakers. "That will have to be played by the regional political parties... We will encourage them to form a government. They have to take the plunge. 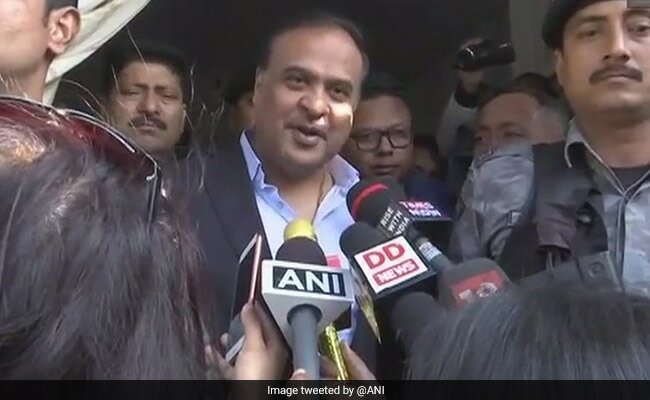 Wherever they feel the BJP can facilitate their discussion, help or inspire, we will be there," said Mr Himanta Biswa Sarma had earlier told NDTV.